Given the fact that my blog’s Book Corner has thus far been dominated by reviews of nonfiction books, one might assume that I tend to eschew fiction. This could not be further from the truth. In fact, it has only been in the last couple of years that I have been begun to read and actually enjoy nonfiction books. Fiction was my first love, and as much as I have grown to appreciate a good biography or self-help book, novels will probably always dominate my bookshelf. 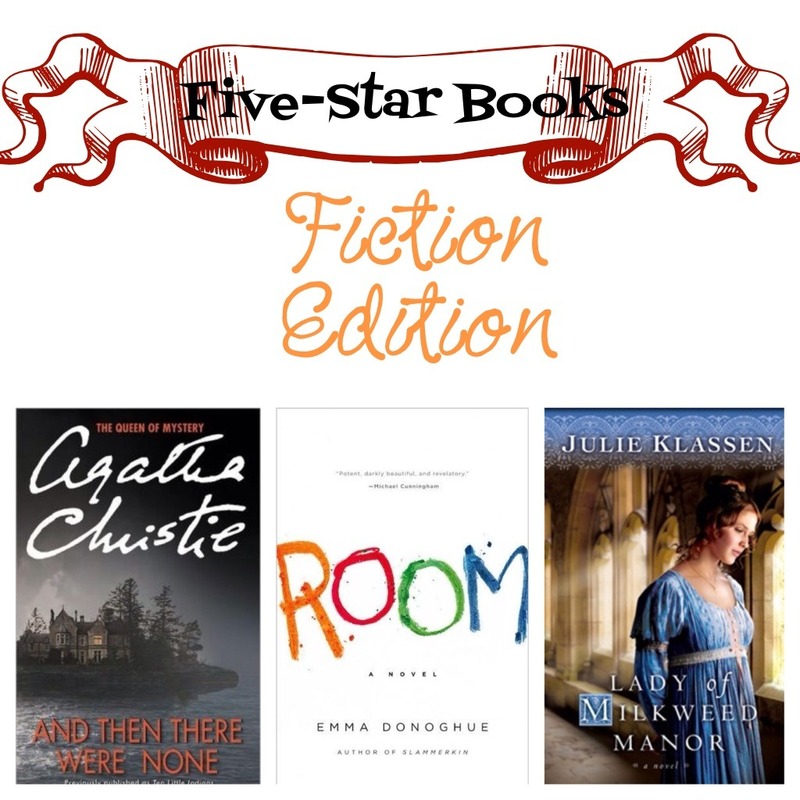 In order to keep my beloved fiction from feeling neglected on my blog, here are some five-star books from a couple of fiction genres that are near and dear to my heart (and one genre that is not!). I am a long-time mystery aficionado and enjoy novels from a wide range of mystery authors, but Agatha Christie definitely reigns supreme in this genre. 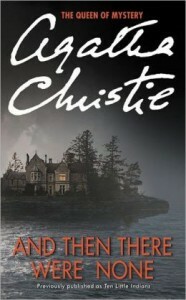 And Then There Were None is Christe’s best-selling work, and for good reason. This riveting novel – in which ten strangers are lured to an uninhabitd island and killed off one by one – incorporates all the elements I’ve come to love about Christe’s works, from impeccable characterization to an impossible-to-predict conclusion. The plot is absurd enough to be entertaining, yet realistic enough to be utterly horrifying. I was a junior higher when I first read this book, and I have yet to read a mystery that surpasses its sheer perfection. Many readers turn to fiction as a means of escapism. I am not above reading literary fluff, but sometimes I want a piece of fiction that will evoke some thought. Room is a novel that tapped into both my intellect and my emotions while opening my eyes to a previously unexplored reality. Room is the haunting story of a mother and son being held captive in an 11 x 11-foot room. Five-year-old Jack is the story’s narrator, and the innocence of this child who has never lived beyond the walls of Room is both refreshing and utterly tragic. Masterfully written, this novel is realistic enough to be a true story, but so heartbreaking that I was thankful to be reading a work of fiction. 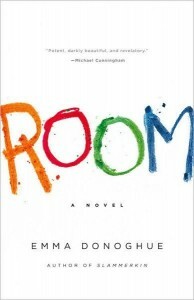 Room is not for the faint of heart, but its vivid characters and poignant themes make it a worthwhile read. 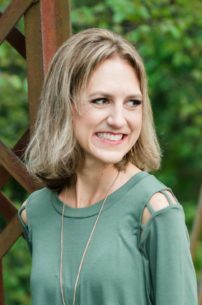 I am normally not a fan of romance (I can do without any more shades of grey in my life, thank you), and I will be the first to admit that most of the Christian fiction out there is tolerable at best. But every stereotype has its exceptions, and Julie Klassen’s books manage to defy the reputation imposed on them by their genre. 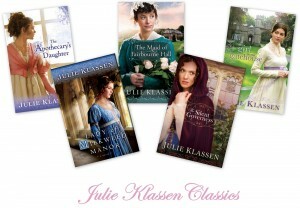 The style and tone of Klassen’s novels are reflective of the Regency period in which they are set, and her characters are relatable as well as authentic. There is a mystery element to each book that keeps the plot driving forward, and while Klassen’s heroines do have love interests, the romance is not over-the-top. Similarly, faith themes are apparent throughout each book, but they are natural and not at all overpowering. If forced to choose a favorite Klassen book, I would probably go with The Lady of Milkweed Manor for its intriguing insights into the lives of unwed mothers in 18th century England. However, Klassen is a superb writer and I have been impressed with everything she publishes. 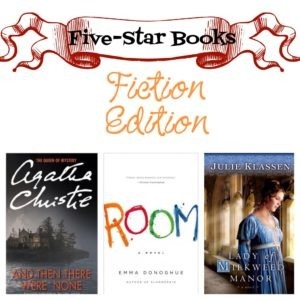 Book-lover that I am, this is certainly not a comprehensive list of fiction favorites, but it does offer a more realistic glimpse into my literary life than was previously implied by the exclusively non-fiction reviews in my Book Corner. Now it’s your turn: what are some of your favorite novels? Which ones do you hate? And are you a fiction lover or abstainer? Share your thoughts and recommendations in the Comments!